Arsene Wenger has pledged to splash the cash this summer in a bid to beef up his young Arsenal squad. 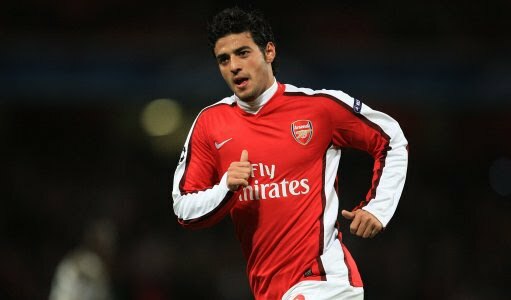 Carlos Vela was dumped from Arsenal's Champions League defeat to Barcelona - after the Mexican forward lost his passport. Manuel Almunia last night warned Arsenal must show "big character" to save their season from ending in disaster. Manuel Almunia admits Arsenal will relish the stick they will get at arch-rivals Tottenham following their battering by Barcelona. Theo Walcott has warned Tottenham his Arsenal team-mates will be over their 4-1 mauling at Barcelona come next week's North London derby. Sky Sports pundit Andy Gray escaped without too much fall-out from a malfunction in the Nou Camp television booth, which led to his off-air musings during Tuesday's Lionel Messi super show against Arsenal being picked up via a Dutch TV feed. Stan Kroenke has paid £17 million to Danny Fiszman, his fellow director, to help pay off money that he owed as a result of buying shares in Arsenal.